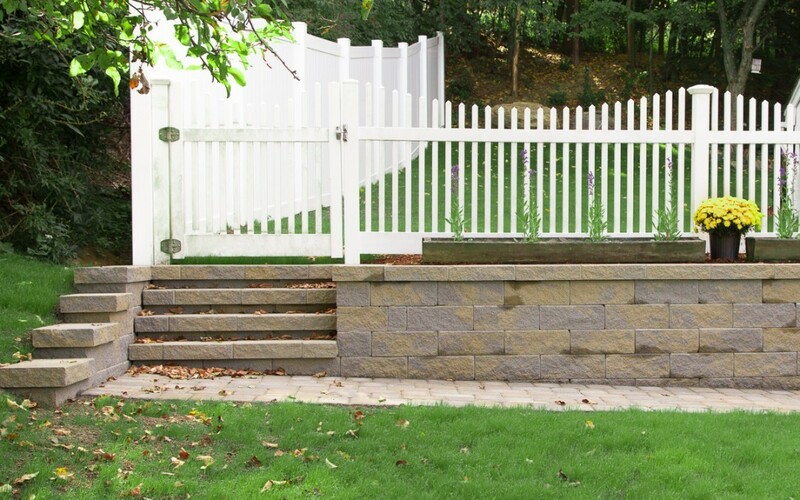 This week, we’re excited to show you how retaining walls can enhance your home. By adding a well-designed wall to your pool, walkway, garden, or backyard, your home will be rejuvenated with beauty. You can have retaining walls that stand alone, or combine them with other great landscape elements. Garden beds, plants and shrubs, and landscape lighting are just a few that can be added to make it feel extraordinary. Retaining walls are landscaping structures typically made from stone or brick pavers. While they are functional, retaining walls will also add depth and character to your home. It’s important that your retaining wall is designed and constructed properly to avoid erosion, drainage issues, or collapsing in the future. When you are thinking of ideas for your retaining wall(s), consider the purpose, location, materials, and other design elements that will be involved. Your front walkway represents the first impression of your home. Adding a retaining wall will give visitors an entirely new perspective – it may even change yours too! As an added benefit, it will increase the value of your home with very little investment. Combine your new wall with landscape beds, rocks/mulch/soil, and some solar-powered lighting for a truly exceptional entrance. If you have a pool outside your home, you probably spend a considerable portion of your summer around it. Adding a retaining wall will give the area a new dimension. Also consider adding multiple levels of retaining walls with seating, water features, or landscape beds. Any route you choose will better define your pool area, creating a more relaxing environment this summer. Maintaining a garden can be a lot of work. Have you considered using retaining walls to contain your garden beds? Your garden would be more protected from erosion and the elements, while benefiting from the beauty of a rock/paver wall. You can also choose a wall design with curves, a tiered garden, or a garden separated with steps to match the landscape of your property. There are so many ideas, it’s hard to choose where to start. Retaining walls will create dimension, separate backyard features, and make your backyard flourish. Adding walls around your fire pit or patio can create backyard seating. Curved walls around your backyard will create beautiful paths and walkways. You can combine walls and walkways to create courtyards perfect for outdoor living. Using walls to build terraces can also add privacy to your backyard, making outdoing living much more relaxing. Click here to see popular pavers and wall stones. Go outside and choose the perfect spot for your wall. Get a quote and pick a date for construction!